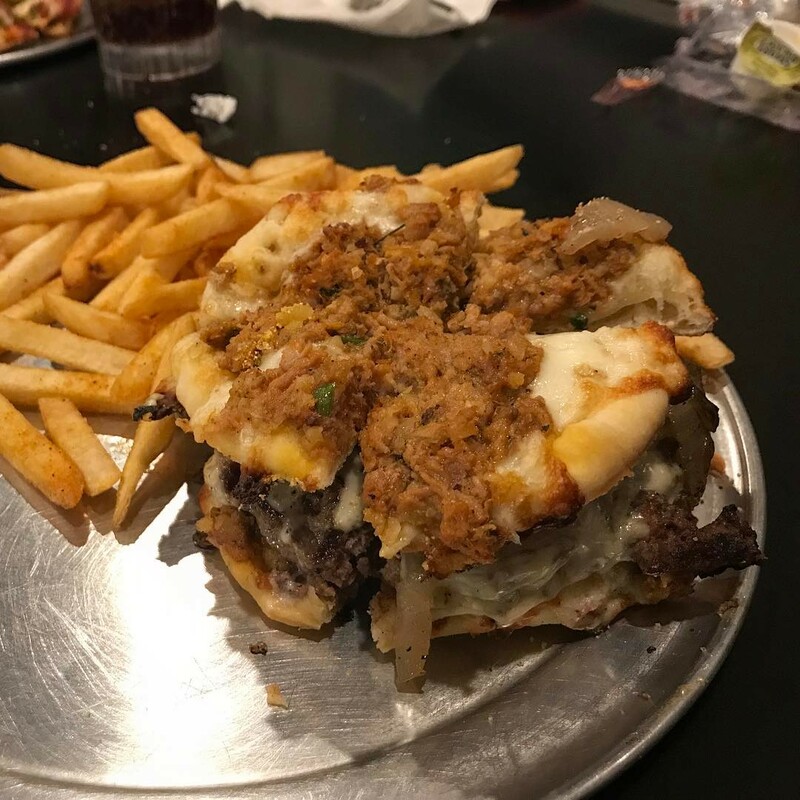 A boudin pizza burger. That’s right. A boudin pizza then a beef patty then a boudin pizza. Also some pepperjack cheese and caramelized onions. Healthy.